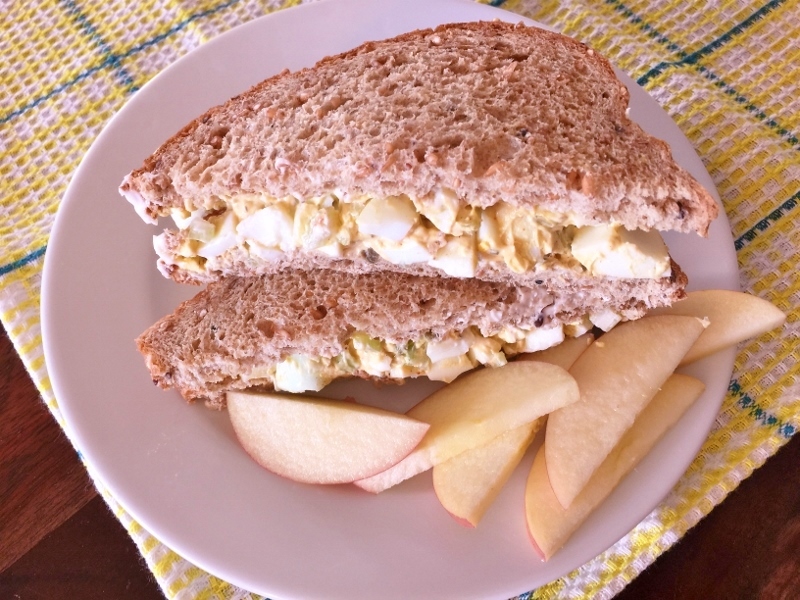 Easter Egg Salad - Recipe! - Live. Love. Laugh. Food. The day after Easter always leaves me with one thing, a handful or two of dyed Easter Eggs. 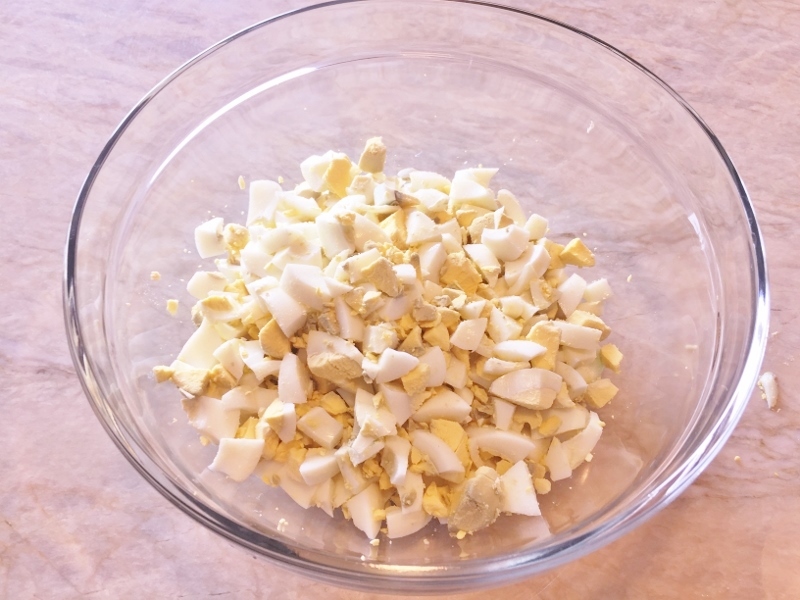 Egg Salad is usually the best way to put those eggs to good use and most of us already know how to make a good one, but today with hard boiled eggs still on the brain – I thought I would share my recipe. 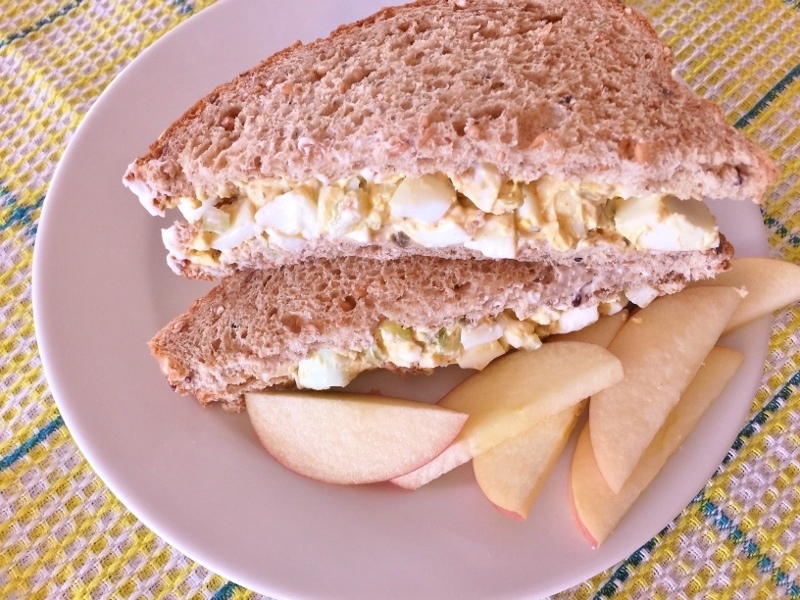 Egg salad is usually a mixture of chopped eggs and herbs with a dollop or two of mayonnaise. What makes my egg salad truly satisfying, is a spoonful of good Dijon mustard, dried thyme leaves and chopped capers. 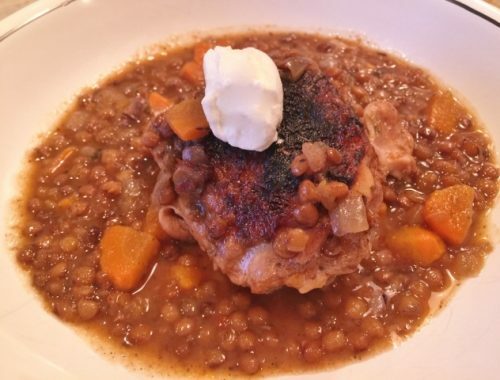 This mix of ingredients, adds an herbal note of spring and a slight saltiness from the capers – a good combination of flavors. This salad is a perfect lunchtime treat layered between two slices of multi-grain bread or on top of fresh greens for a luncheon or picnic – just make sure to keep the salad cold. 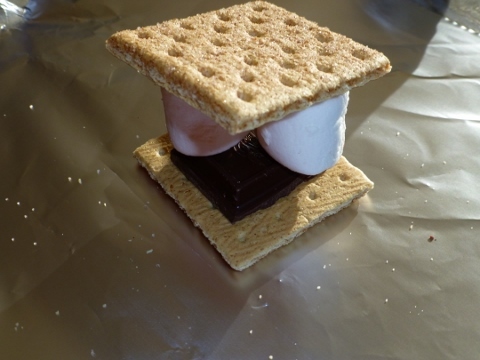 It also makes a great dip with crackers or celery for a casual appetizer. 1. 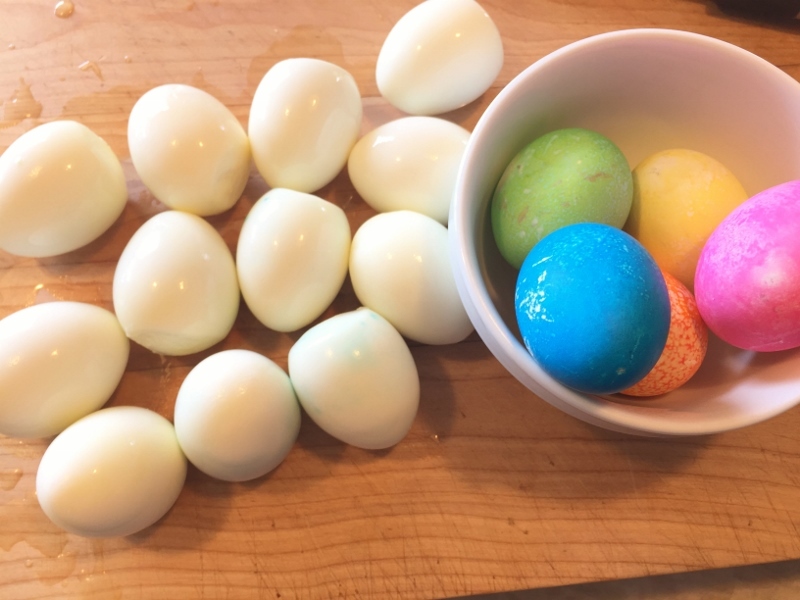 Peel eggs and dice into chunks, add to a large bowl. Slice celery very thinly and rough chop capers. 2. Add capers and celery to diced eggs, along with mayonnaise, mustard, thyme, paprika, salt and pepper. Stir until salad is combined. 3. 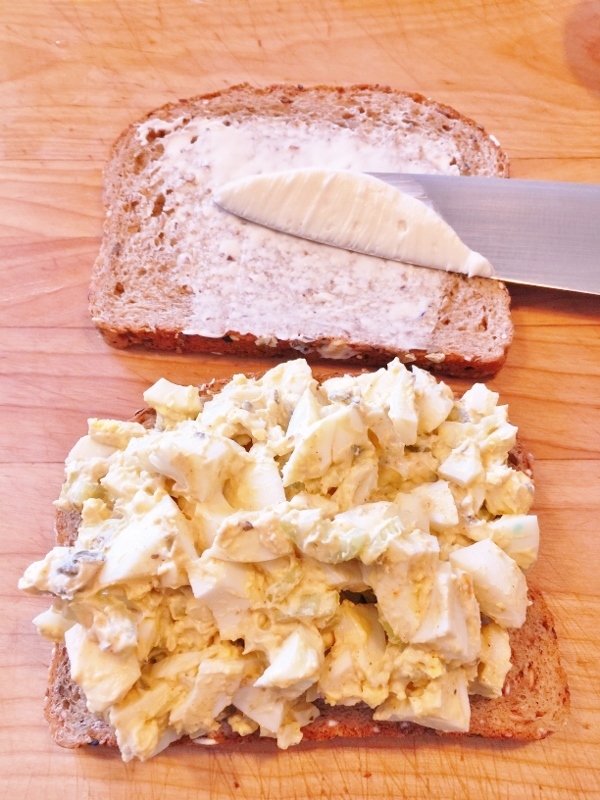 If making sandwiches, spread a thin layer of mayonnaise on top of each slice of bread and dollop about 1/2 cup of egg salad on top. Slice sandwich in half and serve with fresh fruit. 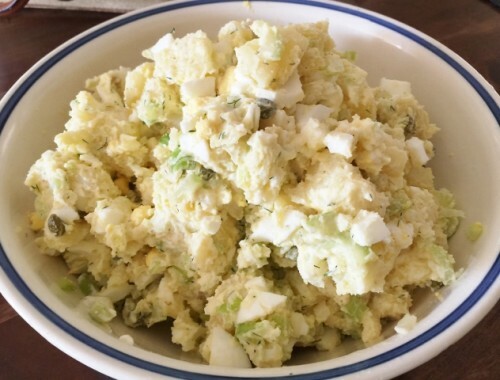 Otherwise, spoon egg salad over greens or serve in a bowl with crackers. Enjoy!